I can’t believe it’s already August! This summer is flying by, but there is still time to support some hip summer fashion combined with the Nocturnal Prototype collection of graphic designs. 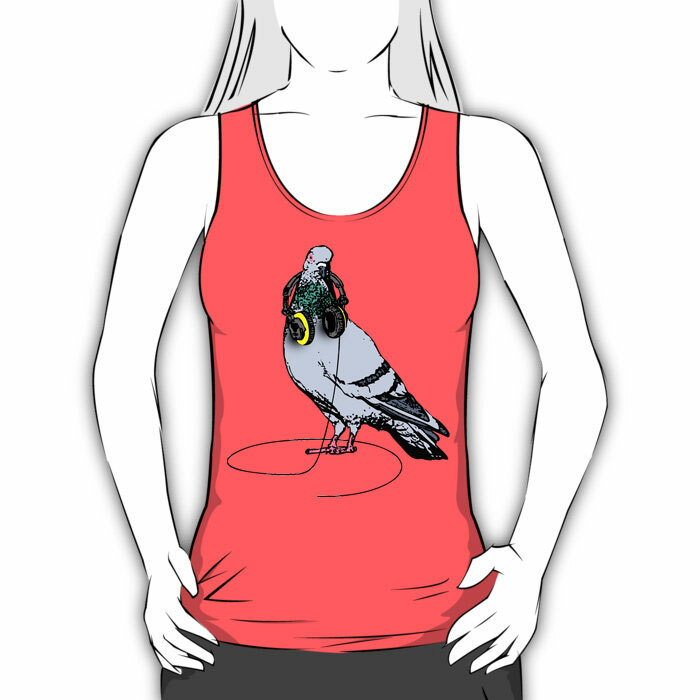 Try our trendy Techno Pigeon graphic on a stylish tank and stay cool in the remaining heat of the summer. Choose Unisex Tank Top from the Clothing Style drop-down menu, select your tank top color and size and click “add to cart” – enjoy!